Do you know what is the most important coverage you carry through your insurance? I didn’t! In today’s episode of Around The Block in Annapolis, Mike and Erin talk to us about the importance of understanding your coverage. AND, if you’re not sure where to start, these guys know all of the ins and outs of insurance and can help you get the exact coverage you need. What is one of the most important coverage on your insurance policy, that most people tend to overlook? So one of the most important coverages that you carry is liability insurance. Most people will overlook it, but it’s the most important coverage that you carry because it protects your assets and it protects your income. If you’re making money and you have stuff to protect, you’re gonna wanna make sure that you have more than what the state minimum requirement is. What are the state minimum requirements in the State of Maryland? So in the state of Maryland, the minimum requirement that’s enforced that if somebody says, I need to get coverage on my car because I need to get it on the road, the minimum requirement is $30,000 for injuries to one person, $60,000 for injuries to all people and $15,000 for property damage. $15,000 for property damage? I don’t know about you guys but I see a lot of cars on the road worth more than $15,000, right? You do not want to rear end that Mercedes and then be responsible for fixing it because you don’t have the right liability limits. I see it time and time again. Even people who make really good money end up with those low liability limits because they wanna pay the lowest insurance premiums and sometimes there are smarter, more effective ways of doing that and Mark and I can show you, our team can show you how to do that. Sometimes, it’s increasing deductibles, sometimes it’s just bundling it differently. Sometimes it’s just a different carrier all together that wants your business but you may need higher liability limits to protect your assets and your income and it’s incredibly important that you review that and determine if you need more or less or what exactly it is. Sort of like financial advising, right. You wouldn’t go to any financial advisor and say, “hey help me with my plan”, unless they ask you a bunch of questions and helped you understand that. I think that is imperative and important when it comes to shopping for insurance because at the end of the day, if you cause a major accident or somebody gets seriously injured on your property because you were negligent in some way, you’re gonna want to make sure that the coverage is gonna cover what you need. 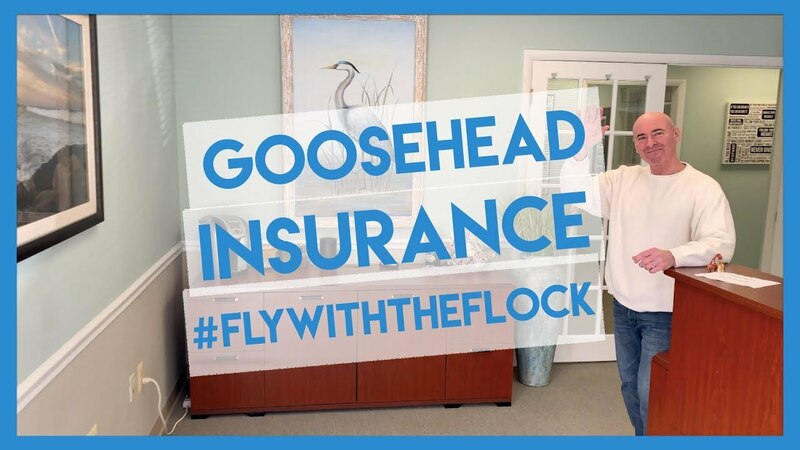 What makes Goosehead Insurance different from other companies? One of the things that I really love about goosehead insurance is our minimums are higher than the state minimum. The minimums that we’ll do are 50,000, 100,000 and 50,000 for property. In addition, we will highly recommend customers depending on what their assets are to consider an umbrella policy which is that drop down coverage. For coverage, for liability above and beyond your homeowners insurance policy and your audit insurance policy. Here’s what I’ll tell you as a caveat to that is that over the years of doing these evaluations, if a family makes more than $80,000 and owns a home, nine times out of 10 you’re going to need an umbrella policy to properly protect your assets. So if you’re in that scenario and you haven’t evaluated your portfolio in a while, give us a ring. How are you guys able to help clients get the best coverage for their needs? In the company corporate wide, it’s employed with over 80 plus A rated carriers. Locally here out of our agency, we’re employed with about 23 carriers and they’re all the big names that you would be familiar with outside of the captive companies that are out there. So, Nationwide and Compass, Travelers, just to name a few. But we’re also employed with some smaller A plus rated carriers that are looking to make more of a presence in this specific area and that gives us a significant amount of flexibility for customers, especially new home buyers, when looking at getting home owners insurance. I hope you enjoyed this weeks episode of Around The Block in Annapolis! I definitely learned a lot about insurance while talking to these guys. When was the last time you updated or looked at your insurance policy? Let me know in the comments below!